A shortage of rail cars has caused a problem for Resolute Forest Products in Thunder Bay. CBC News has learned the company is eliminating a shift at its sawmill, and laying off workers because Resolute can't get enough rail cars to move its product to customers. 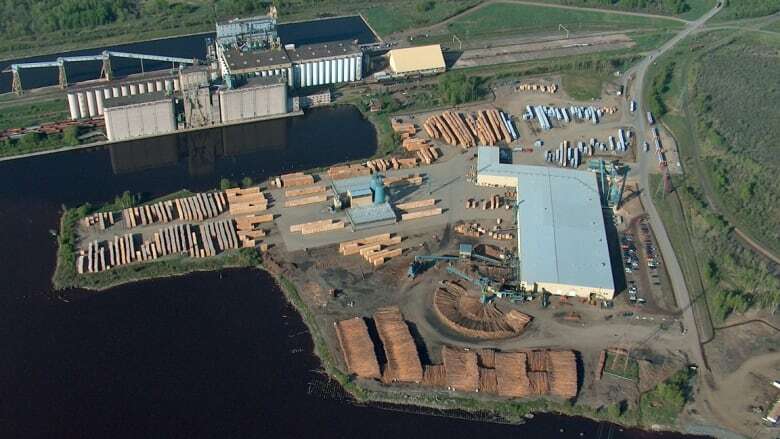 The company said it's temporarily eliminating one of three shifts at its sawmill on the Fort William First Nation, said company spokesperson Xavier Van Chau. “We have a large inventory and that is both costly and a safety concern for us, and so we had to make that determination,” he said. The situation also means no students will be hired at the sawmill this summer. CN Rail spokesperson Mark Hallman said extreme cold affects air brakes on trains. Under federal law, that forced the railway to use shorter trains this winter, which has created an impact across its system. “When you run shorter trains and you eat up more crews, you eat up capacity,” Hallman said. Resolute said it continues to work with CN concerning the rail car shortage, but Van Chau said the company doesn’t expect to recall the 30 laid-off workers until the fall. Hallman says the company is continuing to work on getting additional cars available for Resolute, but said he expects it will be "another several months." The backlog has affected transport across the country, including shipments of other commodities, such as grain. Van Chau said Resolute looked at other options before cutting the shift, such as increasing the use of trucking to move lumber. But inventory still piled up. The president of the Thunder Bay local for Unifor, which represents the workers affected, said the backlog is happening at a bad time. "With the dollar being where it is, and also the spring, the market is rebounding and there's demand for our product,” Bob Lederer said. “We're having a very difficult time getting it to the customer. It's the worst case scenario." He noted the rest of the work force is worried “about the rest of the summer obviously, because there's only so much room."